To impede environmental deterioration and promote a more sustainable economy, one solution is to shift consumption from conventional to green products. However, inadequate information on how to promote consumers' green behavioral intention is slowing the growth of green markets and has become a barrier for when developing segments and communicating strategies for effective promotion of green products, in countries like Malaysia where the trend is new. This study attempts to examine consumers' green purchase intention motivational drivers and determine the moderating effect of education levels, gender and income. Structural Equation Modeling (SEM) technique was used to evaluate the causal model. The results suggest that cultural values and environmental advertising are the main influence in building green purchase intention while environmental knowledge is not significantly related. It also indicates that gender and education level have a significant positive moderation effect while income is not. The discussions and implications of these findings are further elaborated. Rapid economic development, unsustainable consumption and the increasing global population have direct negative impacts on the environment. This has led to alarming environmental degradation and natural disasters (Selles, 2013). Hoornweg et al., (2013) revealed that municipal solid waste (MSW) alone, one of the most important by-products of the urban lifestyle, is growing faster than the rate of urbanization. In the earlier global report of over 100, 000 cities surveyed in 2012, they warned that the generated global solid waste is expected to double by 2025, from over 3.5 million tons per day in 2010 to more than 6 million tons per day by 2025, with the amount expected to exceed 11 million tons per day by the year 2100. Inevitably, it resultes in n increase for the overall estimated cost of dealing with the waste from $ 205 billion per year in 2010 to $ 375 billion by the year 2025. The mentioned alarming facts clearly suggest that a transformational change in consumer consumption toward more environmentally friendly consumption is essentially necessary. The adaptation of sustainable consumption does not only save the environment, it also saves and reduces the costs associated with the usage of conventional products (Chekima et al., 2016). Godelnik (2012) in his study explained that despite the fact that consumers’ spending witnessed an increase, including spending for green products, the market share remained to be very small. Even though millions of people have adopted sustainable consumption in 2012; the shift has a very minor reflection in within the overall economic activity. In the following year the estimated market share for green products was less than 4% (Gleim et al., 2013). For the past few years, environmental issues along with green consumption became the focus of the public and the media and more importantly it is the focus of green marketing research field. Researchers, producers, and marketers have been focusing their energy in searching for factors that encourage and motivate consumers to buy green products. While this gives an opportunity for marketers to venture into a new category of green products to increase and maximize profits via the expansion of their market share, they struggle to develop and communicate effective strategies to stir the consumers’ purchase intention towards the buying of green products. In attempt to tackle the issue facing green products and their market share, a number of studies have been conducted out over the last 20 years to identify the factors that promote pro-environment behavior among consumers (Wu et al., 2015; Chekima et al, 2015), however the focus was mainly on marketing strategies rather than consumer behavior. Without an in-depth understanding of consumer behavior in the green product category it becomes almost impossible to develop effective marketing plans and strategies (Tseng & Hung, 2013). 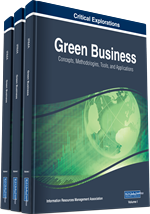 Based on previous studies and the mentioned alarming condition of the environment, along with the position and market share of green products, the main objective of this study is to investigate and identify some of the factors that influence and motivate consumers' intention to purchase green products based on the theory of planned behavior (TPB) by Ajzen (1985). Additionally, based on the authors’ best knowledge, very few existing studies focused on the influence of cultural values, environmental advertising and particular demographic characteristics on green products purchase intention. The Theory of Planned Behavior which has been advanced by Ajzen is widely accepted and adapted as a robust model for predicting green intention and actions. The study in hand focuses on purchase intention, for intention has broader implications and often does have a positive impact on individuals’ actions (Schlosser et al., 2006; Ajzen & Driver, 1992).